Domestic overnight visitor expenditure soars on the Gold Coast as tourists indulge in Australia’s holiday playground. 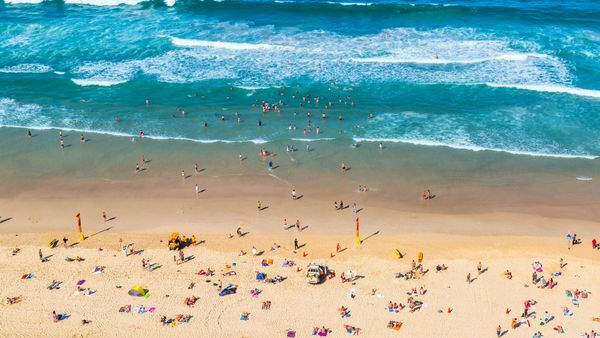 A total 11.2 million domestic visitors flocked to the Gold Coast in the 12 months to September 2018, and spent $4 billion prior to summer – now tipped to be the busiest summer season on record. The National Visitor Survey* (NVS) figures released today (9 January) show a record $3.3 billion was injected into the economy by domestic overnight visitors, up 8.4 per cent. Daytrips to the Gold Coast proved more popular than ever with record visitor volume (7.6 million) and record expenditure ($784.5 million) observed. Domestic overnight visitation however dipped by 2.1 per cent to 3.6 million visitors. Destination Gold Coast CEO Annaliese Battista said Aussie families are front and centre of Gold Coast’s tourism marketing efforts. “We are adapting our marketing to leverage Gold Coast’s core, authentic offering,” said Ms Battista. “We know tourists love our beaches, weather, theme parks, hinterland and all of our other iconic Gold Coast experiences – especially families. “This is to ensure we protect and grow our market share and expenditure – both as a city and as part of team Queensland. The Gold Coast is set to become top of mind as a new $2.5 million tourism campaign led by Destination Gold Coast in partnership with the Queensland Government and our iconic theme parks is set to debut in February in NSW, Victoria and Brisbane. The Gold Coast also posted record-breaking international visitor expenditure for the same period. * National visitor survey is conducted by Tourism Research Australia for each quarter.